Sweet potatoes are front and centre in the Simple Bites winter kitchen, but not just as a side dish. In addition to the recipes included in today’s round-up, I find ways to incorporate them into all sorts of meals from breakfast to dinner. I try to roast off a few spuds here and there when I have the oven on for holiday baking projects, then stash them in the fridge for convenience. In the past I’ve smashed the roasted sweet potatoes and stirred them into a fragrant brown rice pudding. I’ve scooped a few spoonfuls into my smoothies, and together with almond milk, dates, cinnamon and ice, it makes for one delicious shake. I’ve puréed them and added them to chia pudding and even my morning muesli. Once sweet potatoes have been roasted and puréed, you can use them like pumpkin in a wide variety of cooking and baking. Today’s recipes stay on the savoury side of things. From a delicate buttermilk biscuit to a wintery vegan stew, there’s a sweet potato recipe here for everyone. 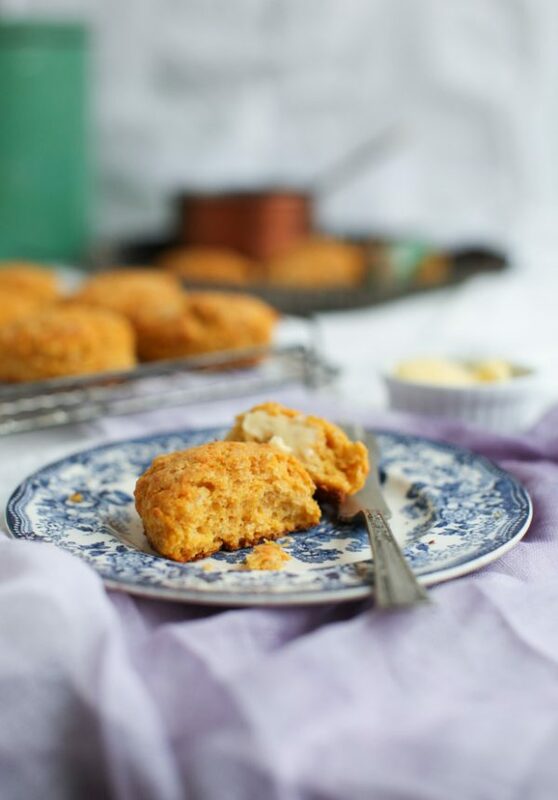 These biscuits bring a little added nourishment to the table with the addition of both roasted sweet potato and tender red split lentils. The sweet potato brings a mild sweet flavour and the lentils add texture to a beloved comfort food. These bisuits have made appearances on our family table morning, noon and night. On weekend mornings they’ll accompany scrambled eggs and sliced avocado for a breakfast that feels like a dish off of a trendy café menu. For lunch I’ll split the biscuits, smear them with Dijon and add a slice of ham for a quick bite. And for a comforting dinner, I’ve paired them with dishes such as our chocolate chip chili, vegetarian black bean chili and split pea soup. Swap out pumpkin purée for mashed sweet potatoes in this reliable recipe for gluten-free pancakes. While we don’t have any issues with gluten in our home, there are often periods of time in my life when I am just eating less wheat and more vegetables. These pancakes make a great start to the day; don’t forget the homemade syrup. 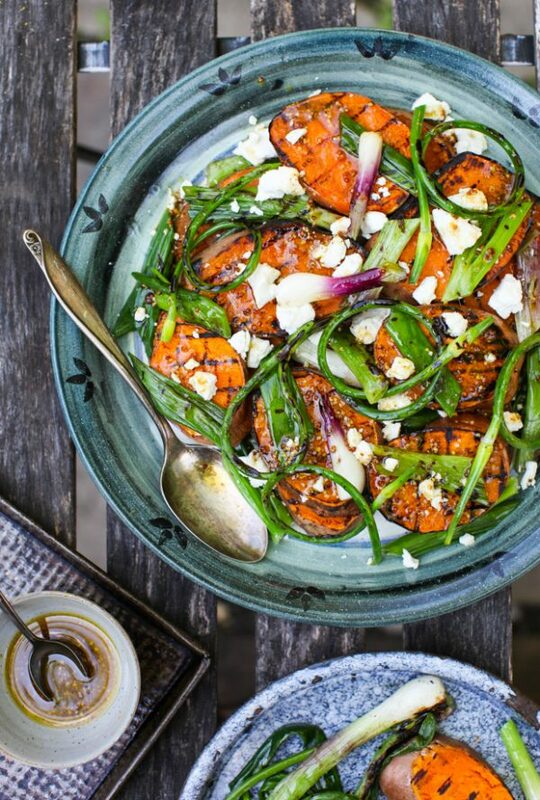 By far the fanciest sounding recipe on this list, but really these glazed sweet potatoes are a very simple dish. It’s a delightful combination of flavours and textures in a dish that feels ever so decadent, thanks to the bacon and maple syrup. These roasted sweet potatoes present beautifully as a side dish, so definitely keep them in mind for your upcoming holiday brunch (paired with a platter of eggs) or dinner (paired with my slow cooker cider ham). The year I developed this simple side dish, I must have served it at Sunday dinner at least once a month – and it out shone the main dish every time. Never under estimate the delicious flavour twist that browned butter brings to a dish. Another reason I love these whipped sweet potatoes is that they can be prepared one hundred percent in advance and then reheated (microwave, stove top or oven) just before serving. So if you are looking for a side dish to bring to Christmas dinner at the in-laws’, this is the one. If you’ve got the oven full to capacity with holiday baking, then you can break out the slow cooker for this easy recipe. They are cooked, seasoned and smashed in the slow cooker, then served up with toasted nuts on top. If you’re into marshmallows with your sweet potatoes, scoop them into an oven-to-table serving dish, top with marshmallows and broil them for a minute or two just before serving. Presentation is paramount in this pretty side dish, which uses a few sweet potatoes and parsnips, roasted alongside a few winter leeks and a mix of maple and Dijon. Maple and sweet potatoes were meant to go together; it’s sweet, but not too sweet. It feels like comfort food even without loads of butter, cream or cheese, which just happens to make it an appropriate dish for winter. Now I understand this is a summer grilling salad, but I love it so very much, I occasionally bust out the cast iron grill pan and char a few green onions for the dish. In my opinion, this warm salad is too good to reserve only for the summer months. Serve it with roast leg of lamb for a glorious Sunday dinner. This is one of two make-ahead salads for winter that makes for a high protein desk lunch. It’s not very glamorous, but it will keep for several days in the refrigerator, so make a double batch to stay on track for healthy eating over the holidays. 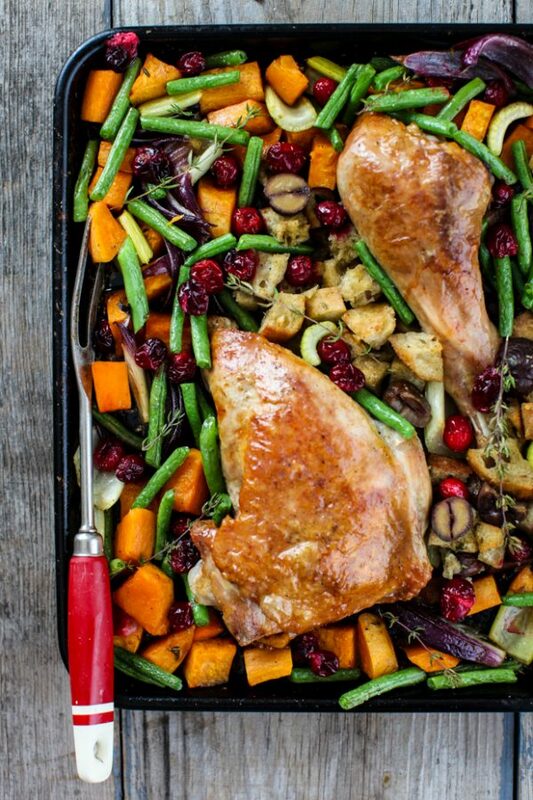 This turkey dinner hack dishes up all of our favourite flavours in one simple sheet pan. I developed the recipe when I had one child in the hospital and was desperately craving comfort food. It remains one of my favourite suppers for the holiday season, along with my Slow Cooker Christmas Chicken in Milk with Orange Cinnamon and Savoury. When it comes to holiday entertaining, most celebration menus lend themselves to focusing on the meaty main dish, but if you are hosting friends who are vegetarian, this pot pie needs to be on the menu. It’s pretty enough to be take centre stage on your table, and hearty enough that no one goes home hungry. It’s packed with vegetables, including our star ingredient today – sweet potatoes. Now you’re going to want to bookmark this one for January, in case you blow the food budget in December. I developed this recipe during one of my my ‘eating down the pantry’ phases – when we eat off of the pantry stores in the new year. The chili is affordable, delicious and good for you, all while hitting comfort food notes. This vegetarian take on a classic comfort food is both a frugal option as well as a great do-ahead dish. You can make a double batch and freeze one for when you need a quick dinner. I don’t need to mention that it is one of the more nourishing meatless dishes you can make – lentils are packed with protein and fibre. So, we’re heading into a big month of cooking, baking and entertaining. I wish you every joy in the kitchen, whether you are there because you want to be or you have to be. As always, feel free to ask me any questions you have on my recipes or your menu plan. Leave them in the comments section of a post or track me down on social media. Happy Holidays! Great post. 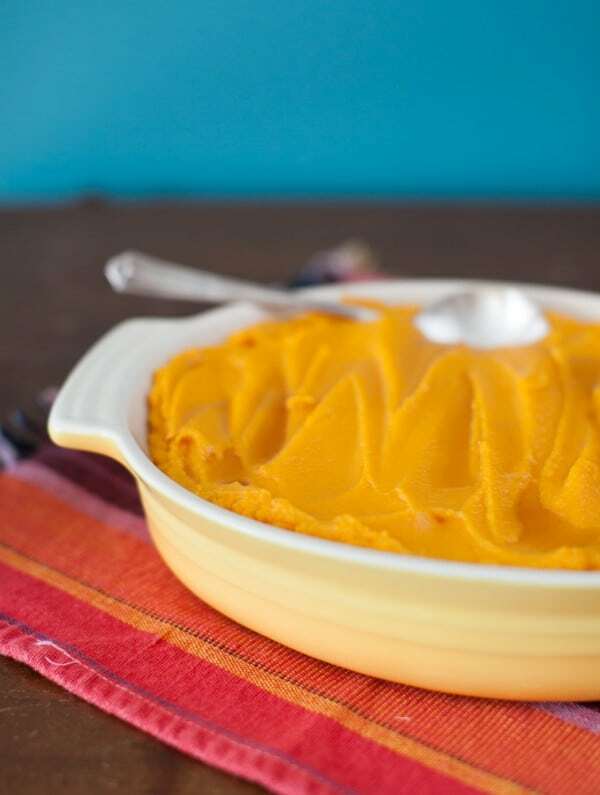 I really want to try that veggie pot pie recipe, Aimee, as well as incorporate one of these sweet potato recipes into a Holiday brunch. One of our favourite holiday sides is actually your butternut squash gratin. My Mom said that dish, and a brussels sprouts dish I made were the highlight dishes of our Thanksgiving dinner this year. Yeah, veggies! Happy Holidays to you. There are some great brunch recipes here. And I’m so glad you enjoyed by gratin! Happy Holidays right back at you. Amazing collection! All the recipes look great ad mouthwatering and savory. Thank you for sharing all these! Very lucky to have found your blog post right in the time for holidays! I love sweet potatoes! They aren’t something I grew up eating, but now hubby and I eat them on the regular. All of these look delicious! Sweet potatoes are the one vegetable my toddler has always eaten without complaint, so let’s just say we eat a lot of them around here! Will give a few of these recipes a try for sure, and I can tell already that the whipped sweet potatoes with brown butter will be a hit. Can’t imagine a more delicious-sounding combination! 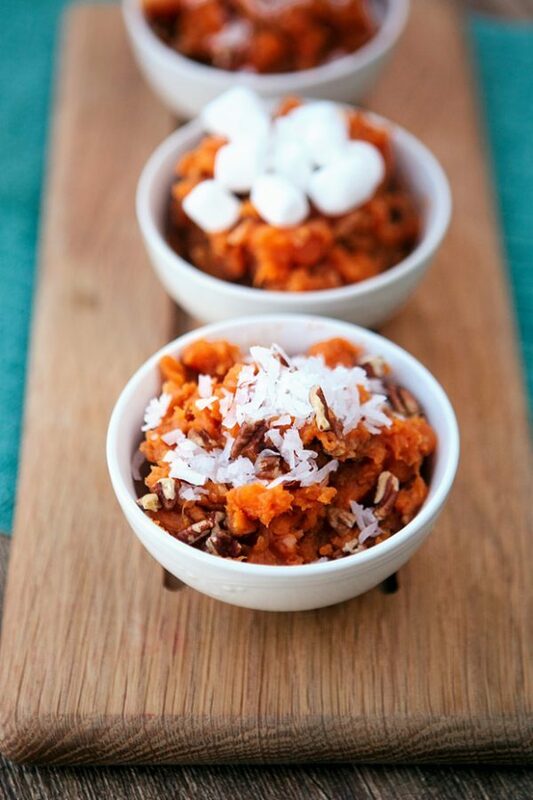 Oh my goodness, you had me at sweet potato! 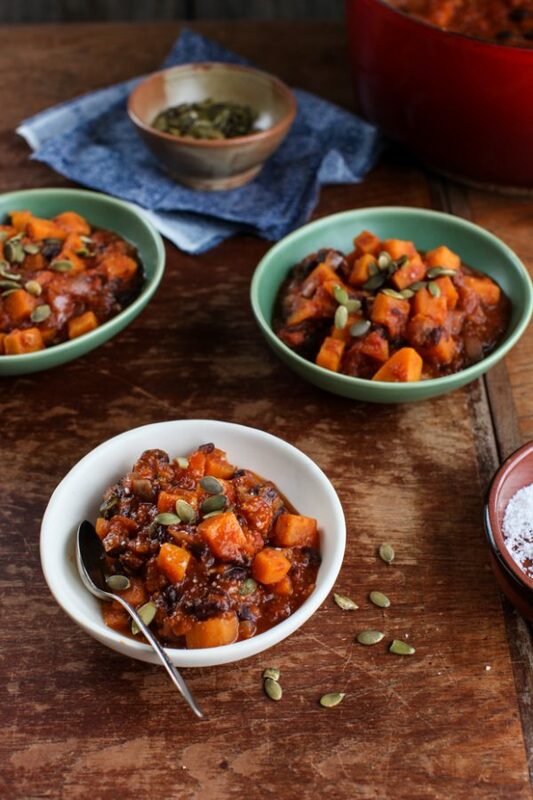 I love the versatility of sweet potatoes, and this round-up is really make my mouth water! I can’t even decide which one is my favourite. I want to try them all! What a spectacular round up! Everything sounds amazing but I am especially intrigued by the Sweet Potato Red Lentil biscuits. Definitely looking forward to trying them tonight to go with our Smoked Ham and Green Lentil soup! 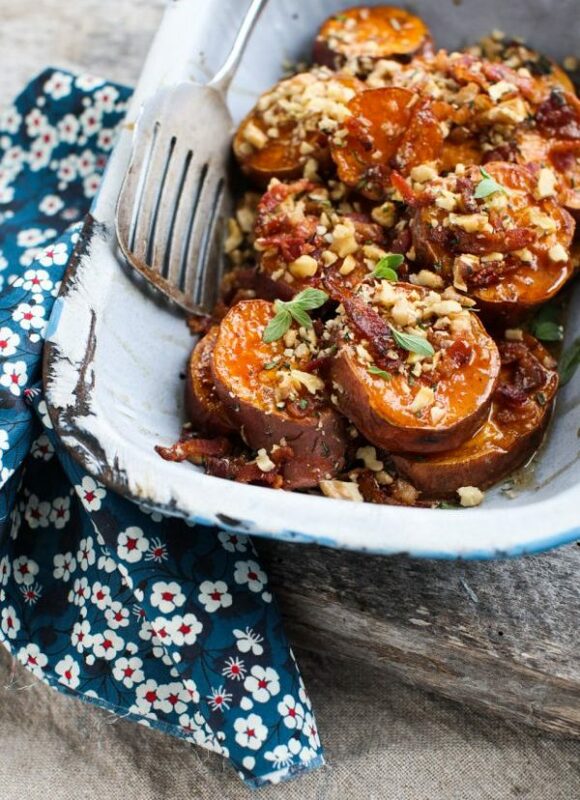 I love anything with sweet potatoes…..all of these recipes look so good! I just don’t know where to start! lol! Thanks for sharing! What a amazing round up. I could eat all of these meals. Look so delicious and tasty. Have a great Christmas time.